The reasons people file for bankruptcy are numerous and rarely simple. One person may file due to job loss, another because of aggressive debt collectors. A business may file an Arizona bankruptcy due to changes in economics, or simply to abandon bad debts. Whatever your reason for filing bankruptcy in Arizona, you can trust the attorneys at Freeman & St. Clair to guide you through the difficult and complicated bankruptcy process. Bankruptcy is a legal proceeding similar to any other lawsuit. 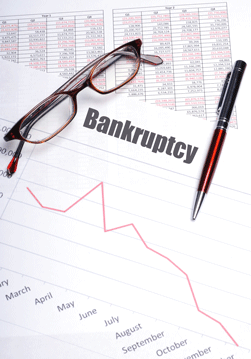 A bankruptcy begins when a debtor files a petition with the bankruptcy court. Upon filing, the court appoints a bankruptcy trustee to represent the interests of the debtor’s creditors. 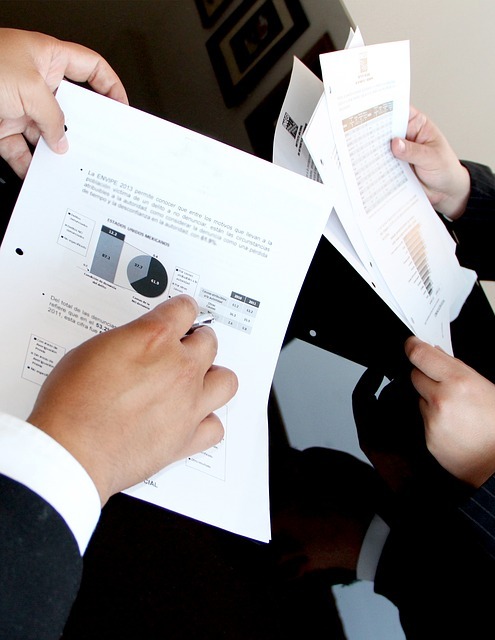 The goal of the bankruptcy process is to equally weigh the interests of the debtor and the creditors. At the end of the bankruptcy, a substantial portion of the debtors debts are usually discharged, meaning that creditors can no longer collect on those debts. While sounding simple in theory, bankruptcy involves detailed and complicated forms and process. Failure to disclose or follow bankruptcy procedures can result in debts not being discharged, or in the dismissal of your bankruptcy. You should contact Freeman & St. Clair before filing to ensure that you maximize the benefits of your Arizona bankruptcy filing. People file bankruptcy for many reasons, but the three most common are job loss, medical bills, and the desire to preserve assets. Businesses, on the other hand, typically file for bankruptcy because of economic downturn and substantial pressure from creditors. Debt collector practices, including calls, emails, and letters. A debt collector who calls you or harasses you after having notice of your bankruptcy violates the automatic stay and can be subject to fines and penalties. Foreclosures. The automatic stay will cause all foreclosure proceedings against your home and vehicle to cease. A creditor must petition the bankruptcy court to proceed with the foreclosure or risk violating the automatic stay. Wage garnishments. The automatic stay ceases most wage garnishments, and requires the creditor to return portions of your garnished wages to you. Lawsuits. The automatic stay prevents most lawsuits from going forward (excluding criminal and divorce suits). Even when you file, you need an attorney to stand up for your rights within the bankruptcy process. At Freeman & St. Clair, your attorney will be with you every step of the way, and with patiently explain the process as you and your attorney go through it together. Our clients tell us that the moment they walk into Freeman & St. Clair, they feel a sense of relief. The worry that has been causing them sleepless nights goes away. The annoying phone calls from creditors stop. They now have a plan of action for facing the problem that has been concerning them for months, sometimes even years. A good reorganization plan means they no longer have to put up with bill collectors or worry about how they are going to pay their debts off. They are taking control of something that has felt beyond control for a long time. A burden has been lifted, and that they have a fresh start in life. Someone told me that filing for bankruptcy means I can never get another credit card, rent an apartment or buy a car. Is this true? While filing bankruptcy does affect your credit score, you will still be able to operate your day to day affairs. Many of our clients are able to obtain new credit cards, vehicles, and living situations within a year or less of filing. Current bankruptcy filing fees can be found here: http://www.azb.uscourts.gov/filing-fees. These filing fees do not include attorneys’ fees. These are simply the actual costs the court charges for the bankruptcy to proceed. Typically, however, Freeman & St. Clair clients pay between $1,000 to $2,000 for Chapter 7’s, and $3,000 to $4,000 for Chapter 13’s. Both of these figures include all attorneys’ fees and filing fees. More complex cases, however, may exclude feel flat fee services. Usually, these types of cases can be identified and discussed at the initial consultation. Sometimes. The bankruptcy court, at its discretion can waive the filing fee for exceptionally distressed debtors. A Chapter 7 debtor typically receives a discharge within 6 months of filing. Chapter 11 and 13 debtors usually receive discharges in three to five years of filing. Your unsecured debts will be discharged. Unsecured debts include credit cards, personal loans, and excess value on secured debts. For instance, if you owe $20,000 on a vehicle worth $10,000, the remaining $10,000 may be discharged. Domestic support obligations (i.e., child support and spousal maintenance): These debts cannot be discharged, and cannot be modified by the bankruptcy court. Secured debts: The secured portion of any debt survives the bankruptcy. Examples of secured debts include mortgages and vehicle financing. Student loans: Student loans are generally not dischargeable in bankruptcy, despite being wholly unsecured. To discharge a student loan in Arizona, the debtor must show that the student loan produces an undue hardship. What are the differences between Chapters 7, 11, and 13? Chapter 7 is usually referred to as a ‘liquidation bankruptcy.’ In a Chapter 7, the debtor lists all of his debts and assets. The debtor will be permitted to keep some of those assets (known as exempt assets), while other assets will be sold by the trustee (known as non-exempt assets). After the trustee sells the assets and distributes the value to the creditors, the court typically discharges whatever debt remains. These exemptions can be complicated, so you should contact Freeman & St. Clair for more information to find out what property you can keep throughout the bankruptcy process. Chapter 11: Chapter 11 is called a ‘reorganization bankruptcy.’ Chapter 11’s are typically reserved for large and complex bankruptcies such as businesses and small business debtors. Individuals may, however, be required to file Chapter 11 when they meet a certain debt threshold. Chapter 13; Chapter 13 is known as ‘individual reorganization.’ Chapter 13’s are reserved for individual persons meaning that businesses cannot file a Chapter 13. Chapter 13 bankruptcies permit a debtor to keep all property, both exempt and non-exempt, provided that the debtor make monthly payments to creditors. These monthly payments are typically pennies on the dollar for what the debtor would otherwise normally have to pay outside the bankruptcy. Thus, in a Chapter 13, you will be most likely be able to keep your house, car, and other property so long as you continue to make payments. However, because Chapter 13 bankruptcies tend to be more complicated and time-consuming, they also tend to generate more attorneys’ fees. Please note that certain income-producing debtors are required to file Chapter 13. Please contact our office before filing to make sure that you are filing under the correct Chapter of the Bankruptcy Code. Do you provide $0 down bankruptcies? No, our firm does not provide $0 bankruptcies and we require payment of attorneys’ fees and costs upfront. This is because every bankruptcy is necessarily different and it is therefore impossible to estimate fees and costs without knowing more information. Please note that while we would like to do so, it is simply not possible for us to estimate the costs of a Chapter 11. These cases are almost universally complex and intricate, and require vast amounts of attention and detail. Yes. Please make an appointment with Freeman & St. Clair today for a free half-hour consultation. -Legal Information Institute: Has all the relevant bankruptcy statutes for public viewing at this address: https://www.law.cornell.edu/uscode/text/11. You may also be interested in the Fair Debt Collection Practices Act which can be viewed here: https://www.law.cornell.edu/uscode/text/15/chapter-41/subchapter-V.